YOU ASKED IF WE EVER HAVE SALES. WE ALMOST NEVER DO. 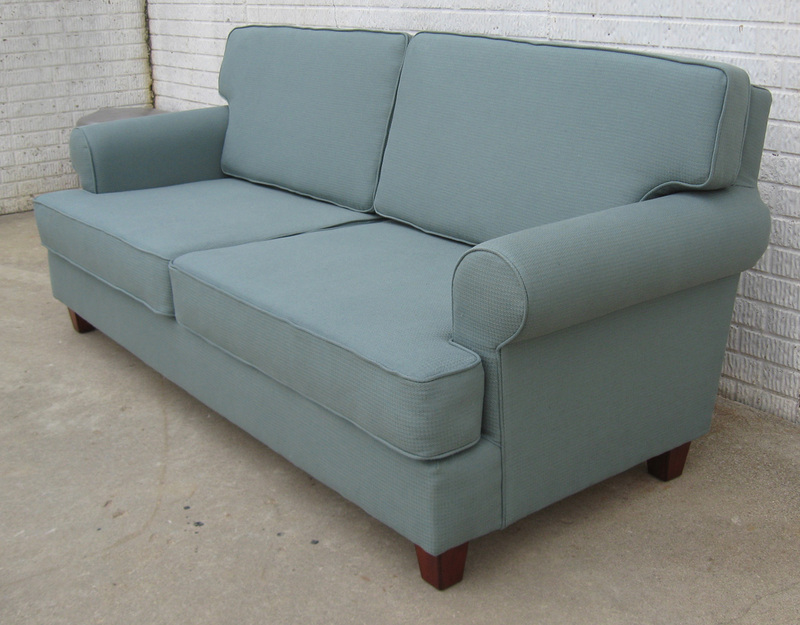 SO NOW'S YOUR CHANCE TO SAVE ON OUR WONDERFUL ORGANIC AND NATURAL GREEN DREAMS™ UPHOLSTERED SOFAS! 10% OFF SALE FOR A LIMITED TIME. 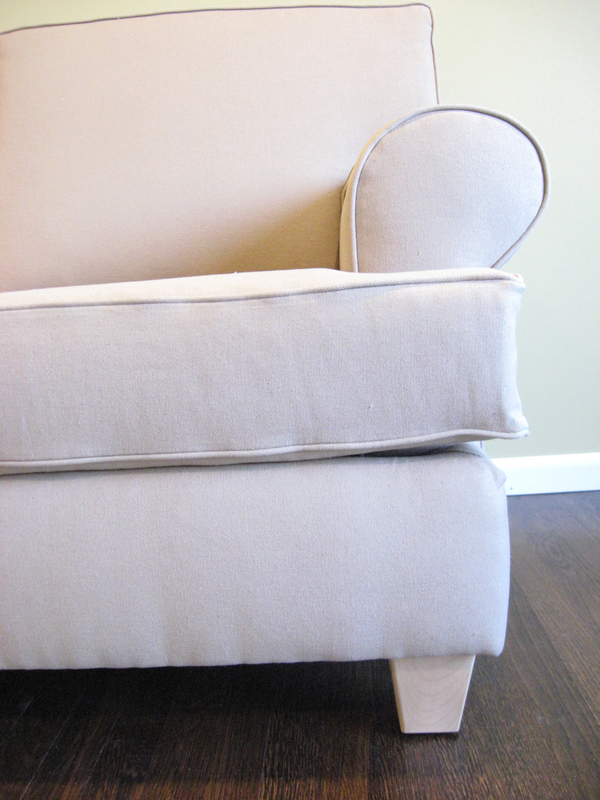 Furnish your green home with natural and organic upholstered furniture! 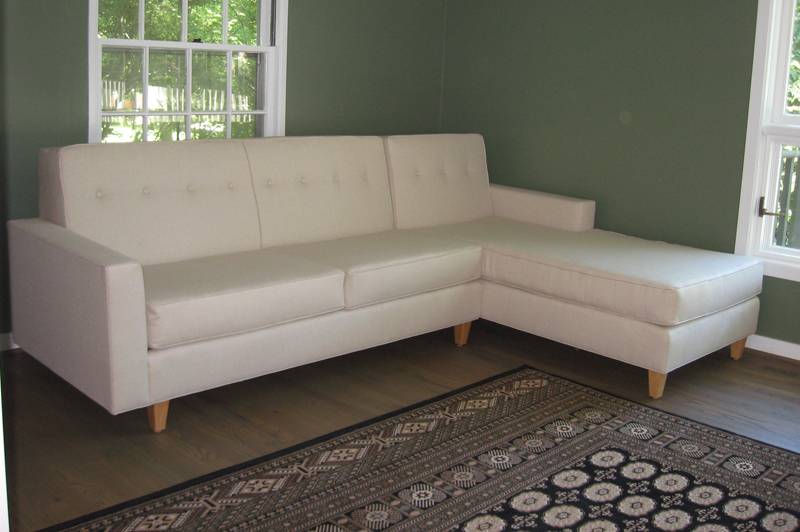 Each Green Dreams™ upholstered piece is hand-built by Amish craftsmen, not factory-made, with a high level of quality and attention to detail too often lacking in commercial furniture. 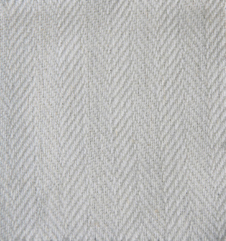 Constructed with a kiln-dried, solid maple frame, S springs, certified organic wool batting, 100% natural latex foam, and your choice of organic and/or natural fabric. No nails or staples used in the frame construction, only screws and metal springs. No plywood, particle board, MDF or pine ever used. 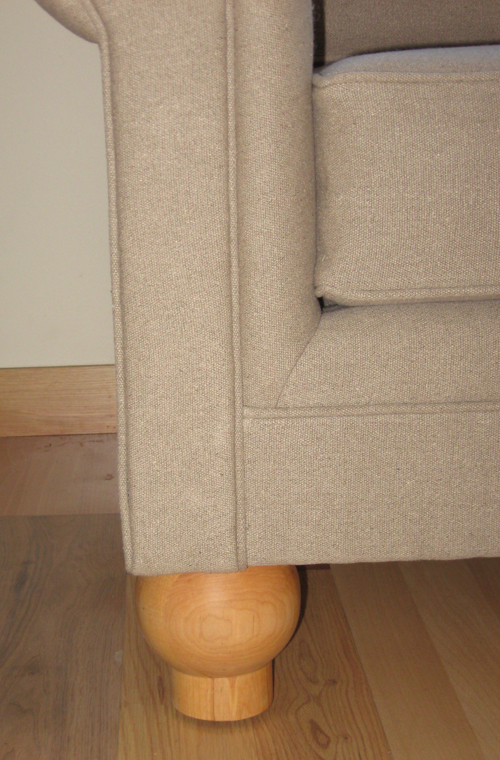 Choose from different wood species and styles for the solid wood legs. 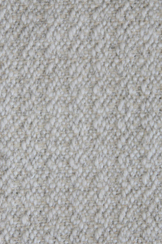 Skyline provides a sophisticated modern look, softened just slightly with a button tufted back. May be special ordered in different length or depth (price would be determined by size). 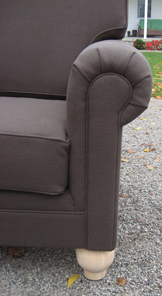 Matching loveseat, chaise, chair and ottoman also available. 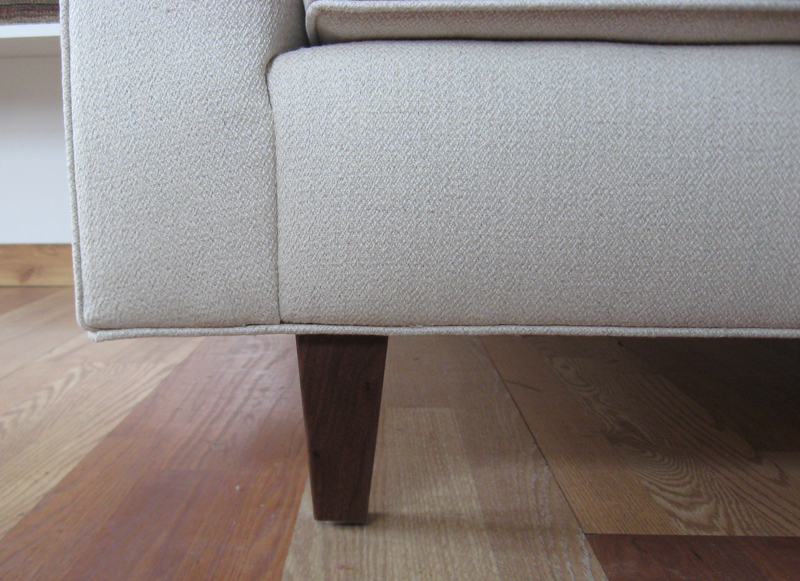 Tapered legs available in walnut, maple, cherry and oak. Each seat cushion has an internal zipper on the interior cushion cover and a hidden exterior zipper on the outside cushion cover. Cushion covers should be eco-dry cleaned only. Price may vary with some fabric choices. 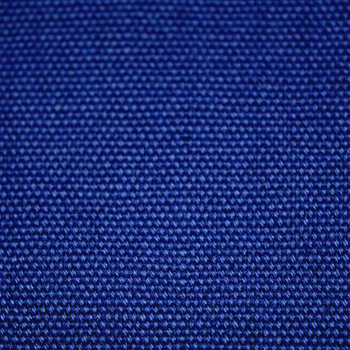 See our list of Fabric Choices for more information. Slip covers are also available, which can provide protection, as well as a different look. 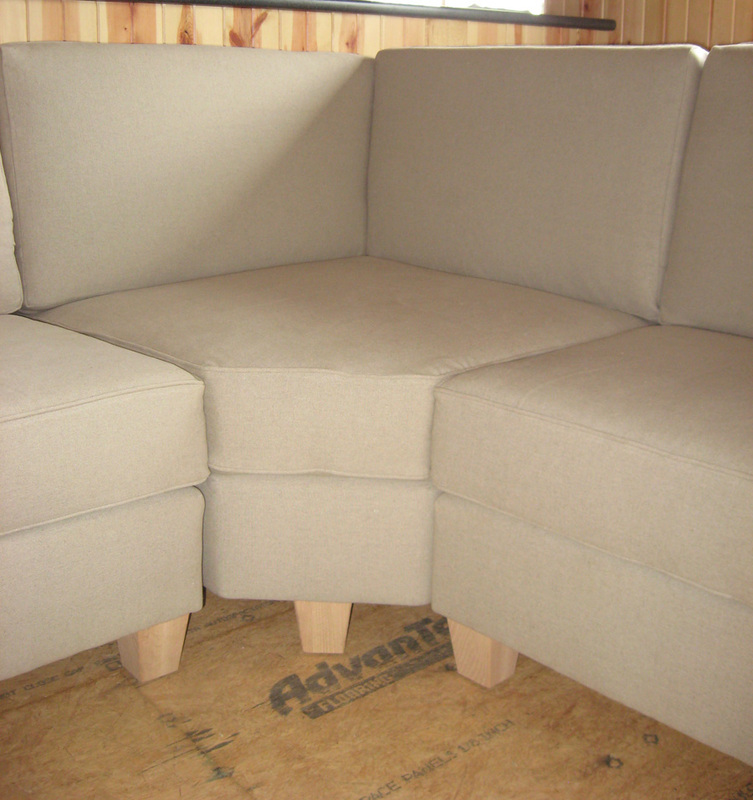 It is recommended that you order the slipcover at the same time as the sofa. 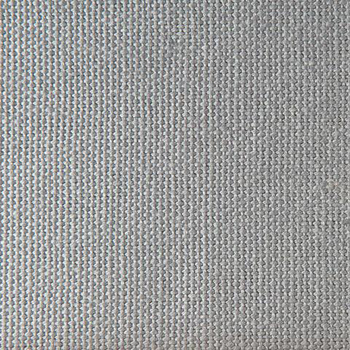 Sofa may be special ordered in different length or depth (price would be determined by size).Each seat cushion has an internal zipper on the interior cushion cover and a hidden exterior zipper on the outside cushion cover. Cushion covers should be eco-dry cleaned only. Price may vary with some fabric choices. 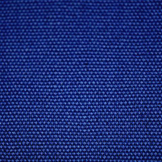 See our list of Fabric Choices for more information. Slip covers are also available, which can provide protection, as well as a different look. 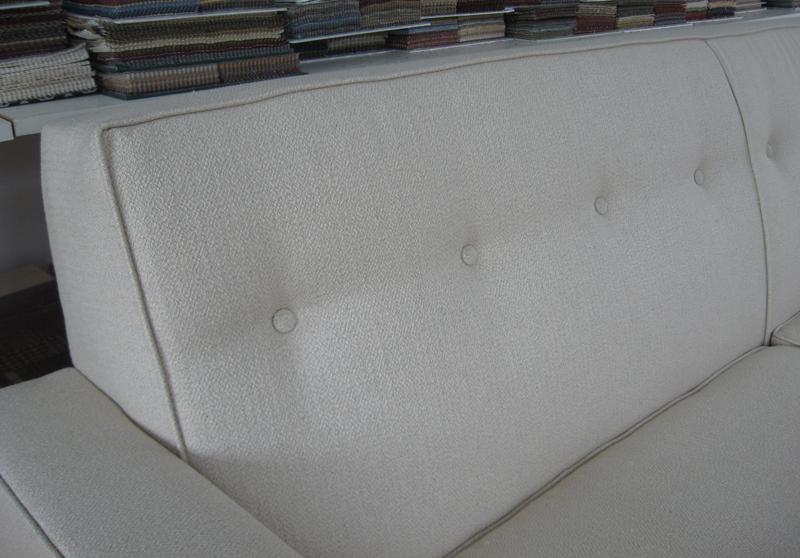 It is recommended that you order the slipcover at the same time as the sofa. Also see our matching Serenity chair and ottoman. 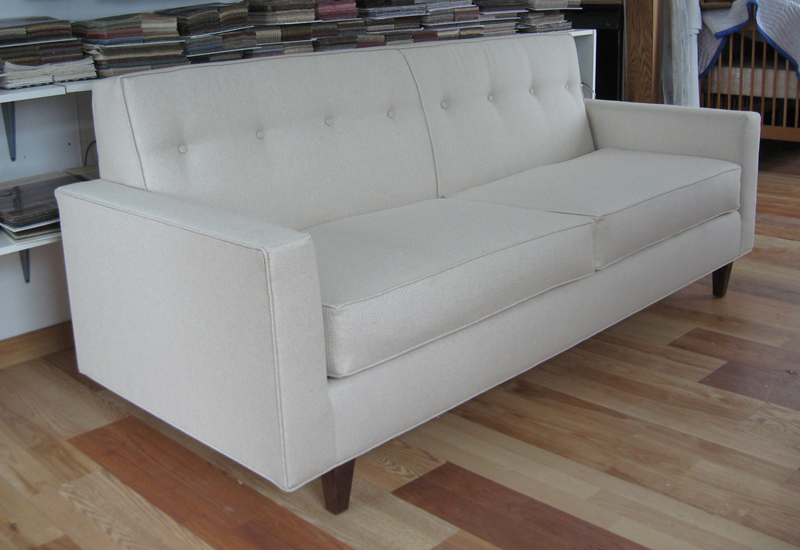 Furnish your green home with natural and organic upholstered furniture! 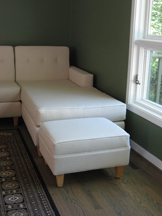 Each Green Dreams™ upholstered piece is hand-built by Amish craftsmen, not factory-made, with a high level of quality and attention to detail too often lacking in commercial furniture. 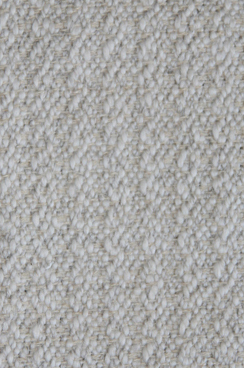 Constructed with a kiln-dried, solid maple frame, S springs, certified organic wool batting, 100% natural latex foam, and your choice of organic and/or natural fabric. No nails or staples used in the frame construction, only screws and metal springs. No plywood, particle board, MDF or pine ever used. Choose from different wood species and styles for the solid wood legs. Piece may be ordered with or without a skirt. 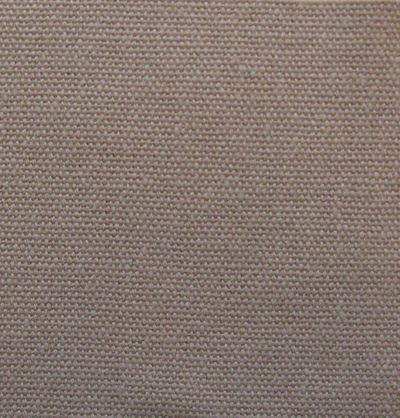 Timeless offers the classic rolled arm design in trend-setting natural and organic materials. Each Rolled Arm Width: 8"
May be special ordered in different length or depth (price would be determined by size). Matching loveseat, chair and ottoman also available. Each seat cushion has an internal zipper on the interior cushion cover and a hidden exterior zipper on the outside cushion cover. Cushion covers should be eco-dry cleaned only. Price may vary with some fabric choices. 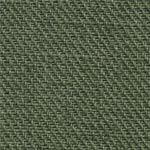 See our list of Fabric Choices for more information. Slip covers are also available, which can provide protection, as well as a different look. 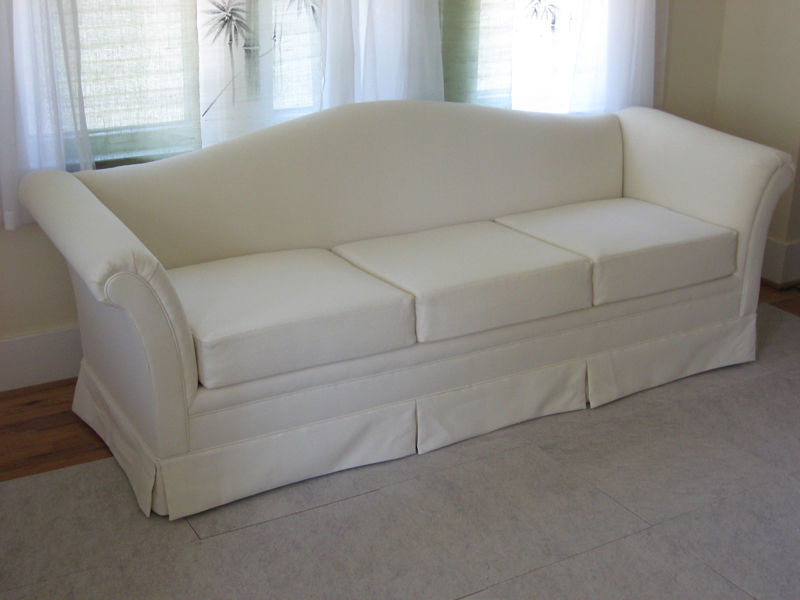 It is recommended that you order the slipcover at the same time as the sofa. 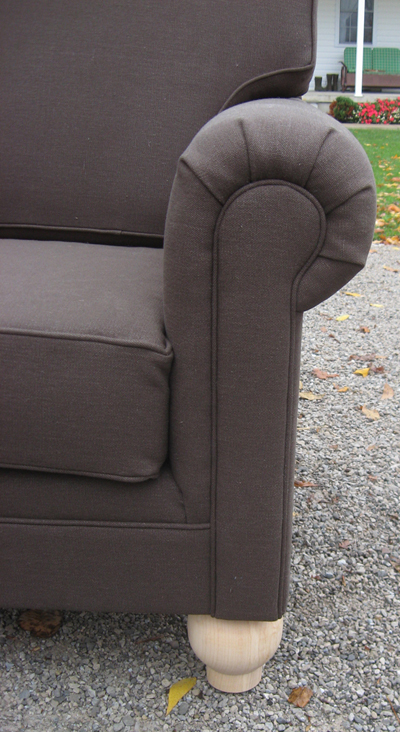 Furnish your green home with natural and organic upholstered furniture! 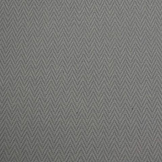 Each Green Dreams™ upholstered piece is hand-built by Amish craftsmen, not factory made, with a high level of quality, durability and attention to detail that is too often missing in commercial furniture. 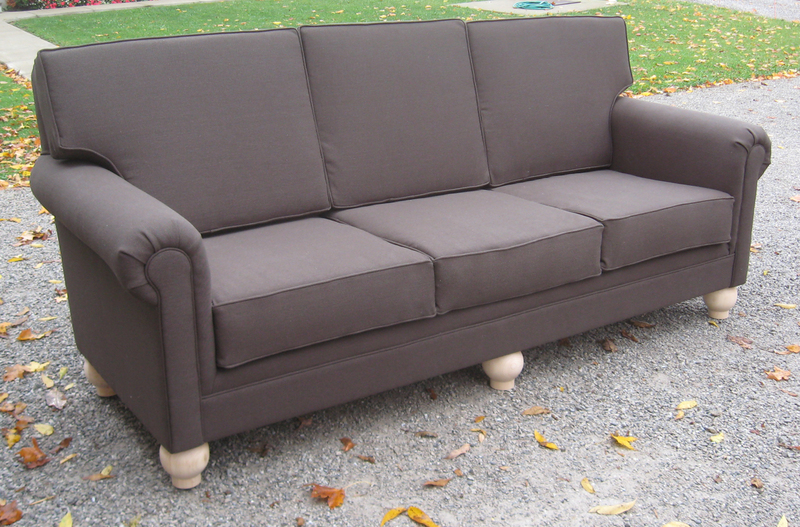 Constructed with a kiln-dried, solid maple frame, S springs, certified organic wool batting, 100% natural latex foam, and your choice of natural and/or organic fabric. No nails or staples used in the frame construction, only screws and metal springs. No plywood, particle board, MDF or pine ever used. Choose from different wood species and styles for the solid wood legs. 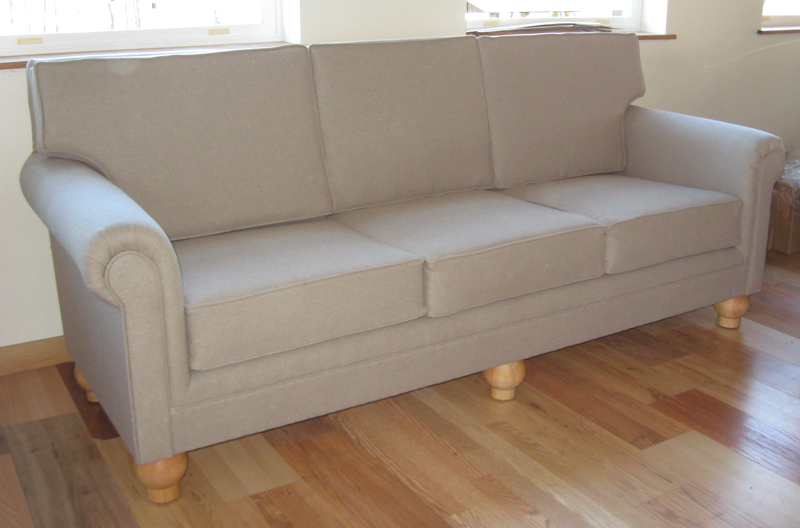 Sofa may be ordered with or without a skirt. 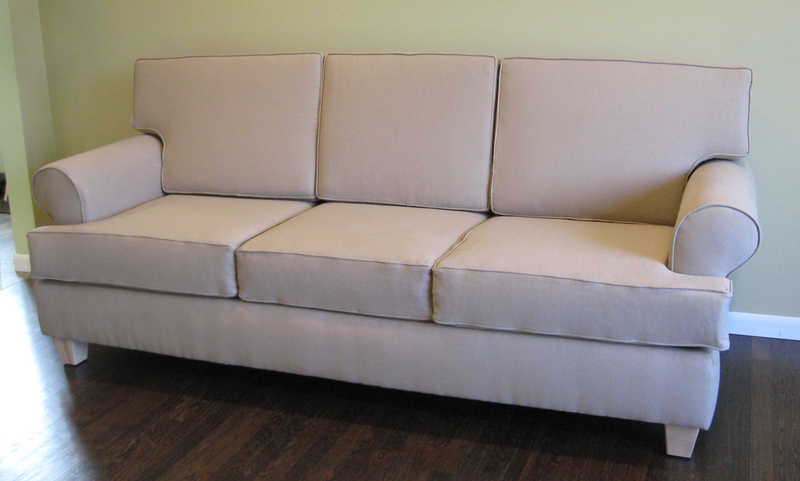 Melody is a gorgeous sofa with just the flair you're looking for in your green home decor. 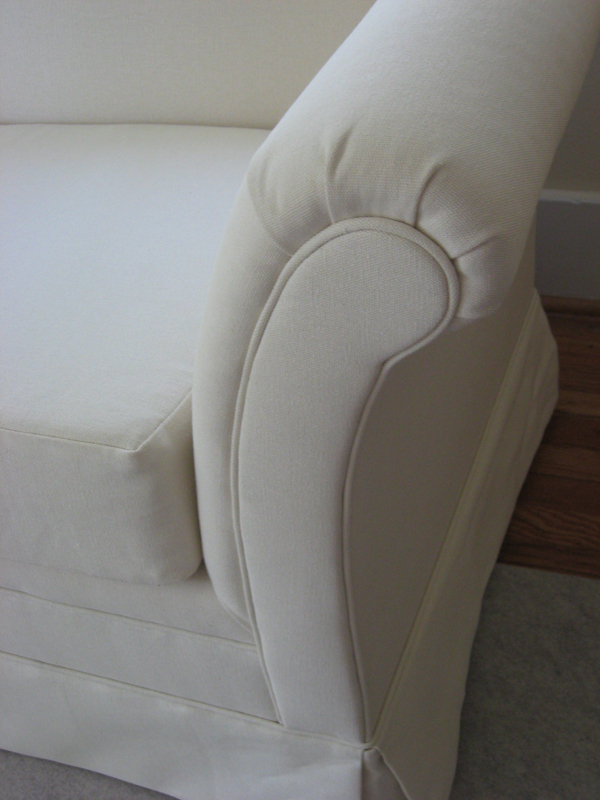 Sofa may be ordered as a loveseat or a "lofa" (cross between a loveseat and sofa). 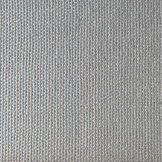 different widths and depths (price would be determined by size).Each seat cushion has an internal zipper on the interior cushion cover and a hidden exterior zipper on the outside cushion cover. Cushion covers should be eco-dry cleaned only. Price may vary with some fabric choices. 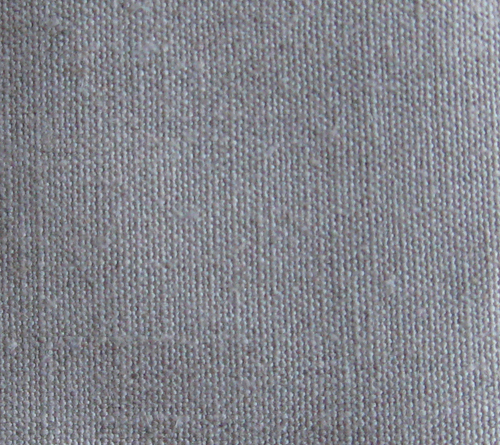 See our list of Fabric Choices for more information. Slip covers are also available, which can provide protection, as well as a different look. It is recommended that you order the slipcover at the same time as the sofa. 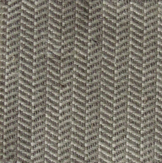 Greenwich is a versatile design that will fit into a contemporary or traditional decor. 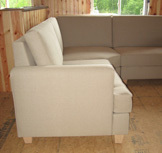 This sectional consists of two one-armed sofas and a wedge corner chair. Width of each back side: 43 1/2"
Sectional may be ordered in different configurations. 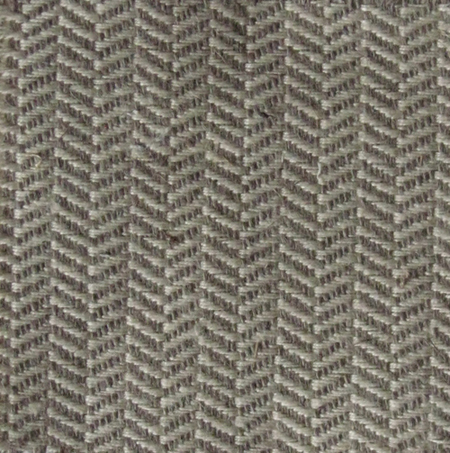 Pieces may be special ordered in different length or depth (price would be determined by size). 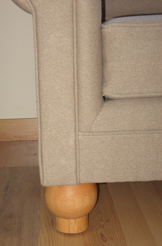 Legs may be ordered in walnut, maple, cherry, or oak. 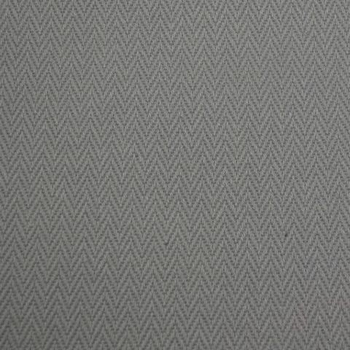 Each seat cushion has an internal zipper on the interior cushion cover and a hidden exterior zipper on the outside cushion cover. Cushion covers should be eco-dry cleaned only. Price may vary with some fabric choices. 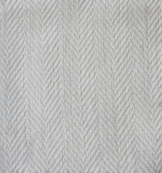 See our list of Fabric Choices for more information. Slip covers are also available, which can provide protection, as well as a different look. 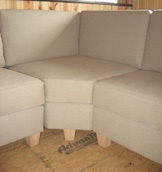 It is recommended that you order the slipcover at the same time as the sofa. 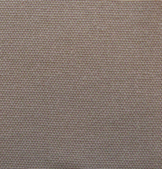 Skyline offers a sophisticated modern look softened just slightly with a button tufted back. 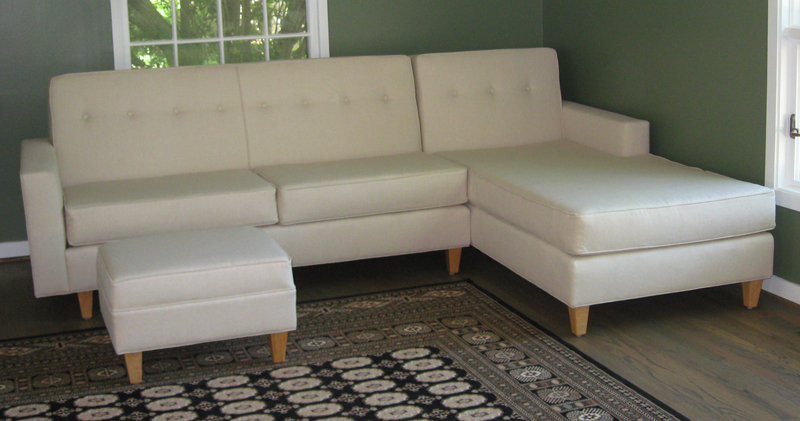 This sectional consists of a one-armed sofa and one-armed chaise with ottoman.